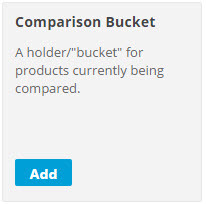 The Product Comparison feature allows customers to add multiple products to a "comparison bucket" on the category page. The products in the bucket are displayed together in a grid for easy comparison. 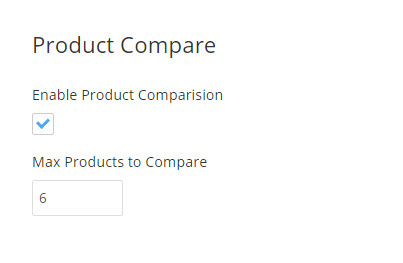 There is a theme level Product Compare page, that can be used for making any changes to the product comparison page. Navigate to Themes > Edit Theme > Pages > Product Compare > HTML Editor to edit its HTML.